Operators looking for a cost-effective, easy-to-maintain, ready-to-go bus underpinned by proven technology need look no further than the MP300. Designed to make passenger transport comfortable and convenient, it’s also extremely easy to operate with a turning circle of just 18m, powerful 7.5L engine and state-of-the-art transmission. 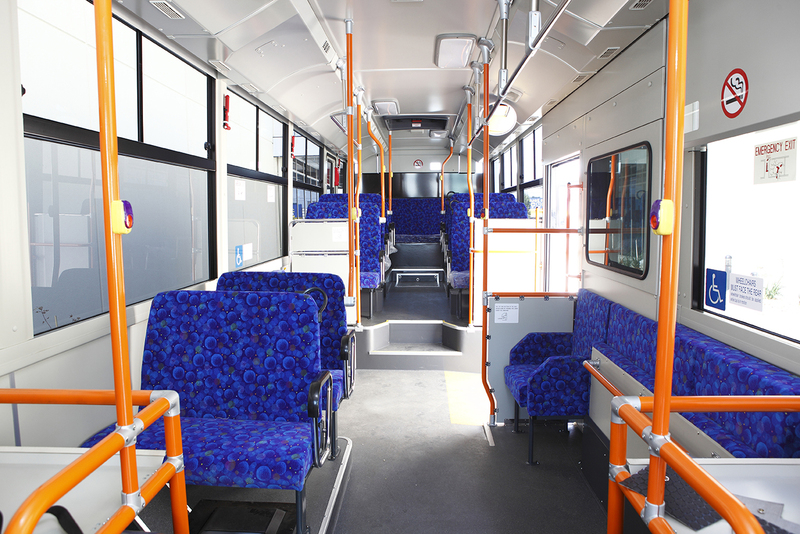 Two customisable models are available – the low-floor City Bus and high-floor School Bus – with various seating configurations for either adult passengers or schoolchildren. 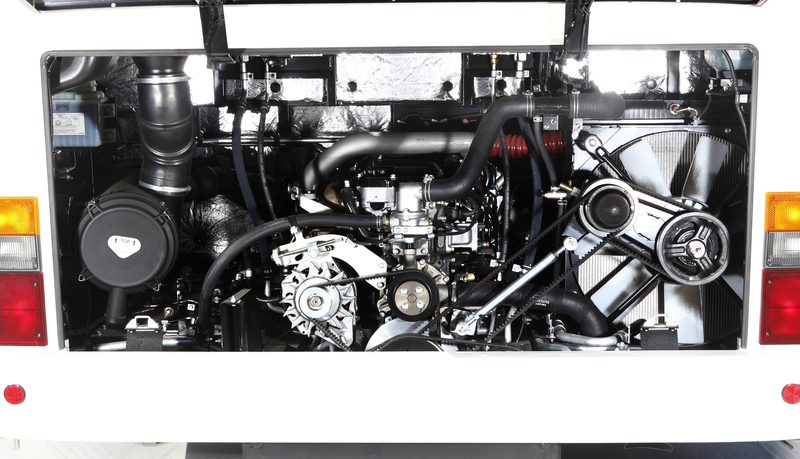 6-cylinder FUSO 6M60-T2 diesel engine with powertard and exhaust brake – proven in Fighter trucks over more than a decade. 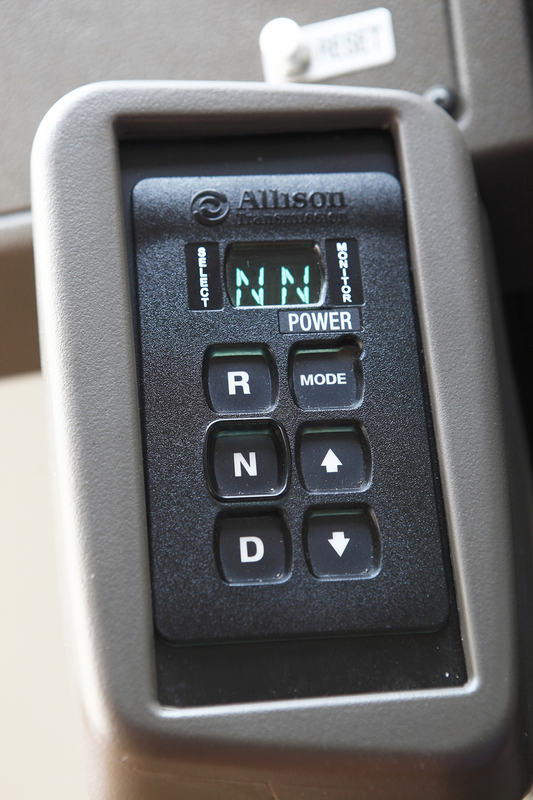 6-speed Allison T310 automatic transmission – world-leading technology for efficiency and performance, with advanced prognostics to improve fuel economy and maximise transmission protection. Dual airbag front suspension / four airbag rear suspension and double-acting shock absorbers front and rear. DENSO common rail fuel injection system for low fuel consumption, low emissions and impressive performance. SCR (AdBlue)/DPF (diesel particulate fi lter) emission control technology. ISS (idle stop start) to maximise fuel economy. JP09 emission standard (Euro 6 equivalent). Accelerator interlock and pre-warning buzzer helps prevent the vehicle being driven while passenger access doors are still open. Rear and roof mounted air-conditioning and integrated roof vents. Stop request buttons and rear door. Easy wheelchair access with integrated front fold-out ramp. Floor designed to suit McConnell seats. Contact your nearest FUSO dealer to discuss FUSO MP300 Bus for sale.